When seconds count ...don't find yourself without our High Pressure Fire Fighting System. This unit is ideal for cottagers, rural dwellers and anyone who lives in an area where fire can be a hazard and fire department response times could cost critical minutes in an emergency situation. The Gulf Islands have just passed a new building code requiring that all new waterfront properties be equipped with a emergency fire fighting system. 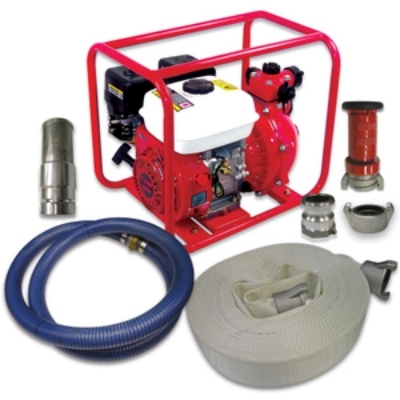 These units are simple to use, just connect the intake hose and the output hose, drop the intake hose into any body of water such as a pond, river, lake, ocean or swimming pool and you are putting out fires.